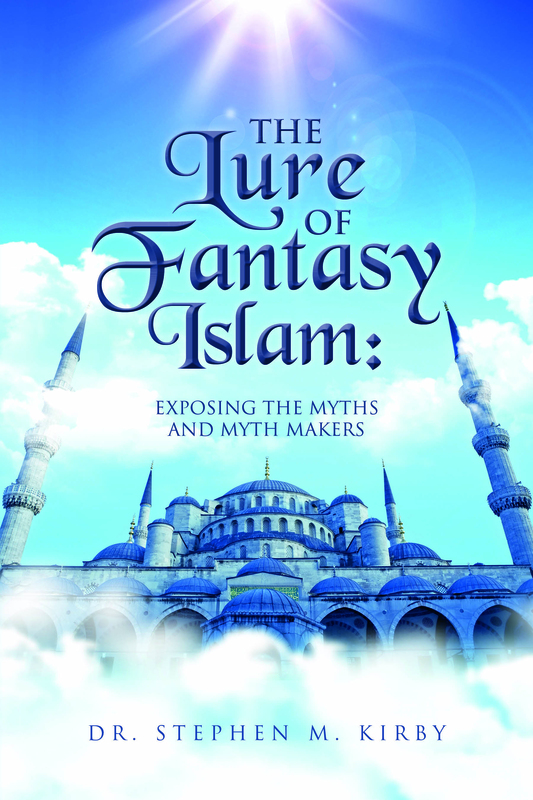 The Lure of Fantasy Islam provides the intellectual arsenal to refute the Muslim and non Muslim “Myths and Myth Makers” and should be required reading for anyone who wants to further their understanding of what “The Religion Of Peace” is really about. What are we to make of the glaring contradiction between the Koran’s claim that “there is no compulsion in religion” (2:256) and the many other verses that call for war, slavery, and death to those who refuse to submit to Islam (9:5, et al)–to say nothing of the militant behavior of the prophet of Allah, Muhammad? This is the question Stephen M. Kirby examines in his new book, Islam’s Militant Prophet: Muhammad and Forced Conversion to Islam. 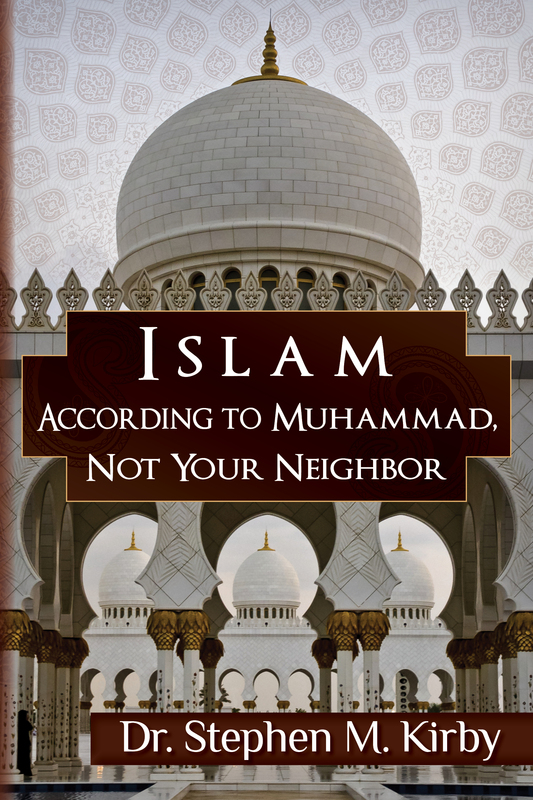 This book will help you understand Islam! Dr. Stephen M. Kirby shows that the confusion about Islam can be cleared up by focusing on the Islam taught by Muhammad, and believed in by most of the world’s Muslims, not the Islam you might hear about from your neighbor or co-worker. Dr. Kirby investigates the acts of violence reportedly done in the name of Islam and examines the modern attempt to redefine the meaning of Jihad. You will find his conclusions surprising and thought-provoking. Understanding the reality of the true Islam is important for the average person who looks at the actions of the jihadists and wants to know: have the jihadists really hijacked Islam, or are they actually following the Koran and the teachings of Muhammad? 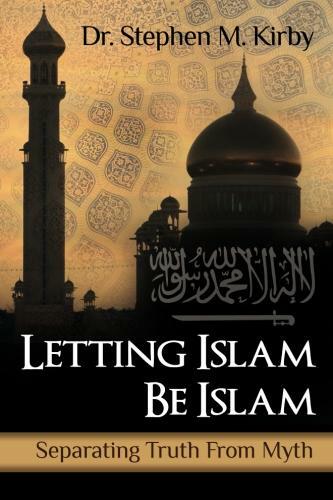 This book will give you the information you need to better understand what is being done in the name of Islam. The book, written by Dr. Stephen Kirby, is based on the authentic, historical Islamic sources and the writings of new researchers as well as the foundation of Islamic thinking today. Through it all, the book provides a very deep understanding of the Koran and the Sunnah in an effort to help the Muslim and the non-Muslim know and understand current Muslim behavior. The book provides help understanding the basic relationship of Muslims with each other and with non-Muslims. 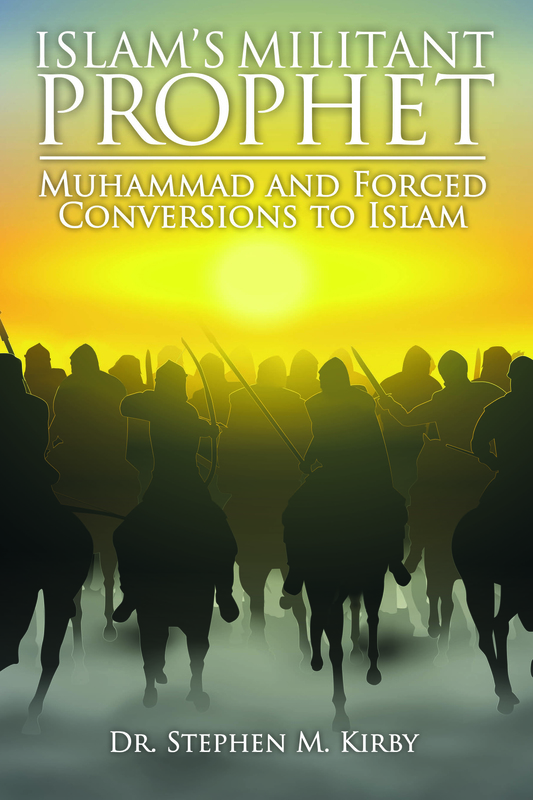 It consists of 19 chapters which include: interpretations, hadith, sirah (Mohammad’s biography), the concept of abrogation, the prophet hood of Mohammad, peace be on Him, the Islamic religion and all the monotheistic religions, sharia, women, slavery, apostasy, interfaith regulations according to Omar, the five daily prayers, heaven, and American Muslims. The book is an excellent resource to guide you in understanding the enormous plethora of information about Islam. Whatever the motivation of those writings, whether it is out of knowledge, intelligence, fear, ignorance, deceit, or truce, you will understand them better after reading this book. عنوان الكتاب بالعربية: “ليكون الإسلام هو الإسلام: فصل الحقيقة عن الخرافة”. اعتمد مؤلف الكتاب الدكتور (ستيفين كيربي) على المصادر الإسلامية التاريخية الأصيلة، وكتابات الباحثين الجدد، إضافة إلى أسس التفكير الإسلامي اليوم. ومن خلال ذلك كله، يقدم الكتاب فهماً أعمق للقرآن والسُّنة بحيث يساعد المسلم وغير المسلم على معرفة السلوكيات الراهنة وفهمها، وعلى فهم أسس علاقة المسلمين ببعضهم بعضاً وبغير المسلمين. يتكون الكتاب من تسعة عشر فصلاً: شملت علوم التفسير والحديث والسيرة، ومبدأ النسخ، ونبوة محمد عليه الصلاة والسلام، ودين السلام، والأديان التوحيدية، والشريعة والمرأة، وقضية الرق، والردة، والعهدة العمرية، والصلوات الخمس، والجنة، والمسلمون الأميركيون. الكتاب دليل ممتاز لتوجيه الفهم للتدفق الهائل للإسهاب في الحديث عن الإسلام، سواء أكان ذلك عن علم أم ذكاء أم خوف أم تهدئة أم جهل أم خداع. On June 4, 2009, President Barack Hussein Obama was in Cairo, Egypt talking about Islam to a Muslim audience. What did this speech show about President Obama’s understanding of Islam? Starting with quotes from that Cairo speech, Dr. Stephen M. Kirby then examines Obama’s two autobiographies, canonical texts of Islam, and surveys of Muslim-Americans to answer that question. In the epilogue of this handbook Dr. Kirby looks into the Obama administration’s response to the June 1, 2009 shooting of two Army privates outside the Little Rock, Arkansas Army recruiting station. The shooting was done by a Muslim convert and received minimal media coverage. You will be surprised at the two-day silence of President Obama and his administration about this shooting. Dr. Kirby provides an explanation for this silence. 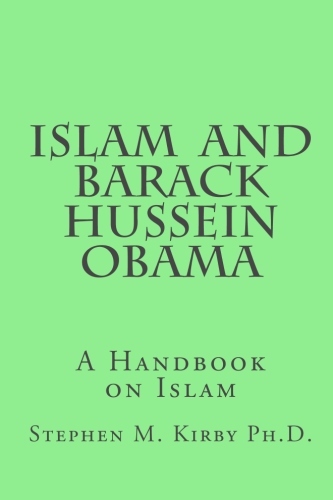 After reading this book you will have a better understanding of how a sitting president understands Islam.